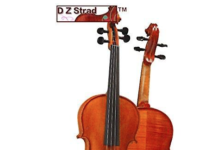 As a violin player, it is essential that you choose the right electric violin. 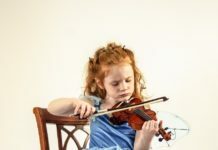 This is because your performances may be dependent on the quality of your instrument. 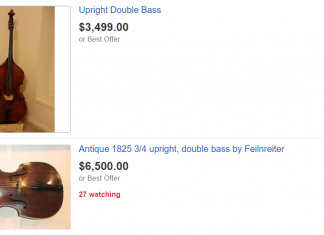 Hence, you should buy the right electric violin from a respected brand. 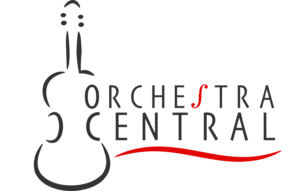 One of the most trusted names when it comes to stringed instruments such as electric violins is Cecilio.Over the course of time, Cecilio has proven itself to be one of the best brands when it comes to musical instruments. Cecilio electric violins, in particular, are noted for their intricate designs and their quality features. 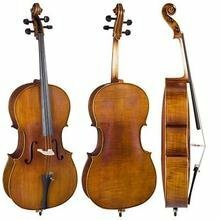 On this article, we are going to identify ten of the best Cecilio electric violins on the market. To fully gauge the most appropriate instrument for you, you should identify the essential features present in Cecilio electric violins. This way, you are ensured that you have chosen a quality instrument. Furthermore, you also get to have an excellent electric violin for your performances. 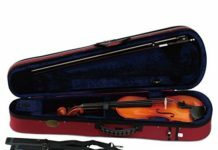 Here are some features that you should consider when selecting the best Cecilio electric violins. 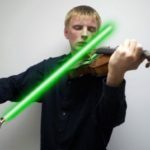 One of the primary things that you should see is the construction of your electric violin. You have to ensure that your instrument is constructed robustly. Check if there are cracks or seams present on any part of the electric violin. In addition to this, there should be no creaks heard when you apply pressure on the instrument. The second thing that you need to look into is the material used in the construction of the electric violin. These instruments are usually made up of woods such as spruce or maple for its body. 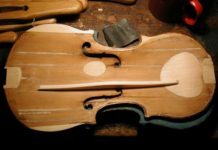 Ebony wood, on the other hand, makes up the other parts of the violin including the fingerboard and the chin rest. These are just some of the features that should be noted when looking for Cecilio electric violins. 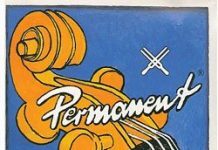 It is worth noting that awareness of the key characteristics will make your job of choosing the most appropriate instrument. The Cecilio CEVN-2BL Electric Violin is composed of a hand-carved solid maple wood body and ebony fingerboard, a chin rest, a set of pegs, and a tailpiece with mother of pearl inlay. It is finished with a blue metallic varnish, although other colors are available including black, white, mahogany, and yellow.When bought, the violin comes with a Brazilwood bow with unbleached Mongolian horsehair, a quality rosin cake, a lightweight hard case, a bridge, an aux cable, and a set of headphones. The Cecilio CEVN-3BK Electric Violin is composed of a hand-carved solid maple wood body with ebony pegs, fingerboard, chin rest, and tailpiece with mother of pearl inlay. It is powered by a 9V alkaline battery. Users have the chance to choose the suitable color of their choice: black, blue, white, mahogany, and yellow. 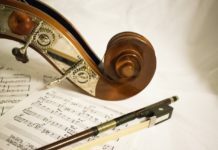 The violin comes in an outfit which consists of a Brazilwood bow with unbleached Mongolian horsehair, a quality rosin cake, a lightweight hard case, a bridge, an aux cable, and a set of headphones. The Cecilio CEVN-4BK Electric Violin is composed of a hand-carved solid maple wood body with ebony pegs, fingerboard, chin rest, and tailpiece with mother of pearl inlay. It is powered by a 9V alkaline battery. Users have the chance to choose the suitable color of their choice: black, white, blue, yellow, or mahogany. The violin comes with a Brazilwood bow with unbleached Mongolian horsehair, a quality rosin cake, a lightweight hard case, a bridge, an aux cable, and a set of headphones. The Cecilio CEVN-L2NA Electric Violin is an excellent violin for left-handed players. It is composed of a hand-carved solid maple wood body with ebony pegs, fingerboard, chin rest, and tailpiece with mother of pearl inlay. It is powered by a 9V alkaline battery. It is finished with a metallic mahogany varnish.When bought, the violin comes with a Brazilwood bow with unbleached Mongolian horsehair, a quality rosin cake, a lightweight hard case, a bridge, an aux cable, and a set of headphones. The Cecilio CEVN-L2W Electric Violin is an excellent violin for left-handed players. It is composed of a hand-carved solid maple wood body with ebony pegs, fingerboard, chin rest, and tailpiece with mother of pearl inlay. It is powered by a 9V alkaline battery. It is finished with a pearl white varnish.The violin comes in an outfit which consists of a Brazilwood bow with unbleached Mongolian horsehair, a quality rosin cake, a lightweight hard case, a bridge, an aux cable, and a set of headphones. The Cecilio CEVN-L1Y Electric Violin is an excellent violin for left-handed players. It is composed of a hand-carved solid maple wood body with ebony pegs, fingerboard, chin rest, and tailpiece with mother of pearl inlay. It is powered by a 9V alkaline battery. It is finished with a yellow maple metallic varnish.This instrument comes with a Brazilwood bow with unbleached Mongolian horsehair, a quality rosin cake, a lightweight hard case, a bridge, an aux cable, and a set of headphones. The Cecilio CEVN-L2BK Electric Violin is an excellent violin for left-handed players. It is composed of a hand-carved solid maple wood body with ebony pegs, fingerboard, chin rest, and tailpiece with mother of pearl inlay. It is powered by a 9V alkaline battery. It is finished with a black metallic varnish.The violin comes with a Brazilwood bow with unbleached Mongolian horsehair, a quality rosin cake, a lightweight hard case, a bridge, an aux cable, and a set of headphones. The Cecilio CEVN-L1BL Electric Violin is an excellent violin for left-handed players. It is composed of a hand-carved solid maple wood body with ebony pegs, fingerboard, chin rest, and tailpiece with mother of pearl inlay. It is powered by a 9V alkaline battery. It is finished with a blue metallic varnish.The violin comes with a Brazilwood bow with unbleached Mongolian horsehair, a quality rosin cake, a lightweight hard case, a bridge, an aux cable, and a set of headphones. When it comes to electric violin brands, Cecilio is indeed a trusted name. Cecilio electric violins may have slight differences that distinguish them from one another, but they are genuinely reliable instruments. As a beginner, you should scrutinize each model based on their standout characteristics so that you could be able to identify the most suitable model that would fit your preference.